Just cut, stitch, trim, and turn! 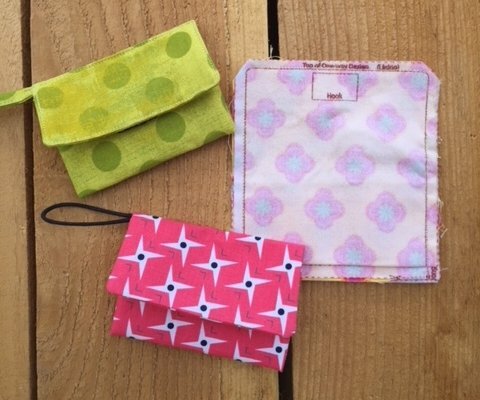 Adorable little wallet with two magically appearing pockets! Great stocking stuffer! Fits perfectly with the Cell Clutch! Pick a fav fabric for your giftee and add homemade or purchased gift cards for a personalized perfect gift!